I been hearing good reviews online and offline friends who also have an awesome experience about Jungle Jims International Market located at Cincinnati, Ohio. It's like 2 hours drive from where I am. I'm wondering what it feels to shopped at this store and finally for over 5 years, I was able to experience it myself. The driving part is fun! I was able to explore some views in Ohio and that excitement and curiosity is fueled me for the whole 2 hours drove. This is super late post! 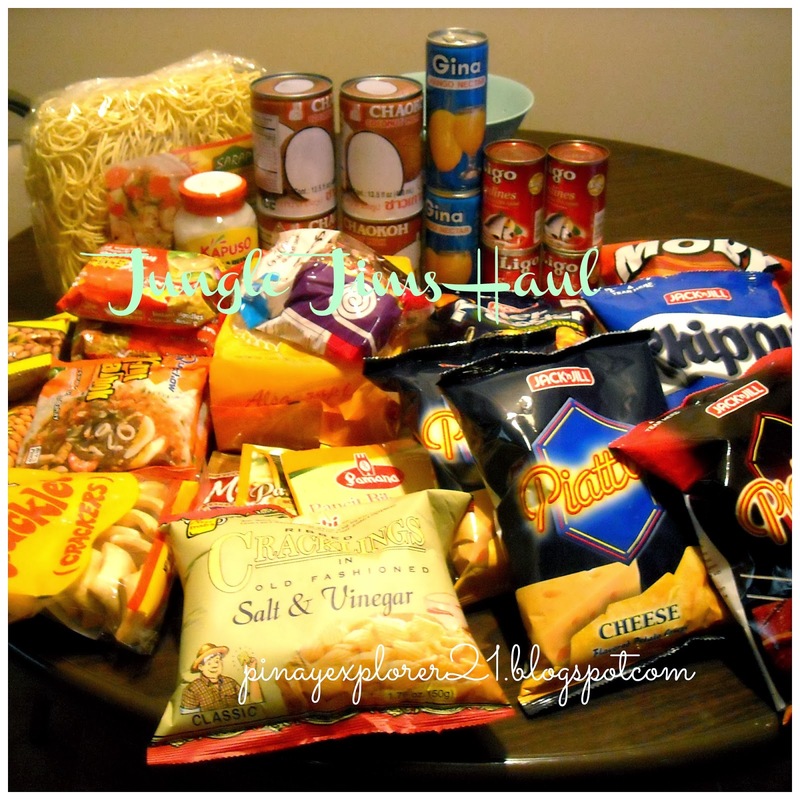 I shopped at Jungle Jims International last December of 2013 (oops! I told you its late). I totally forgot about it until stumble upon some photos saved on my blog. I think this is the prefect time to share my experienced, which is by the way so AWESOME! We went in there round Christmas week and the whole place is packed its not a surprise when holiday season is right on your toe, people are rushed for their last minute shopping other than that they have a very wide, wide varieties of food from different places. I would not expect finding my favorite fruit in the store and its really surprising. Some of my friends were so lucky find some rambutan which is so rare here. We'll be back soon to explore the new Jungle Jims, for meantime come on join me as I explore the Jungle Jims International Market! - same travel distance from where I am maybe little close compare to new store. I came in for one reason.. SHOP! and EXPLORE! I'm very please for everything from the seafood varieties they offer fresh seafood like fresh shrimp, live lobster, fishes and much much more. Didn't get any because of the travel time and afraid that it might be as fresh after 2 hours in the car. I spend most of time exploring Dry goods where I got all my stuff is from Mango juice, curly tops and all my favorite late night snacks like chippy, moby, piatos, soy sauce, vinegar, canned goods and much more! YUM! 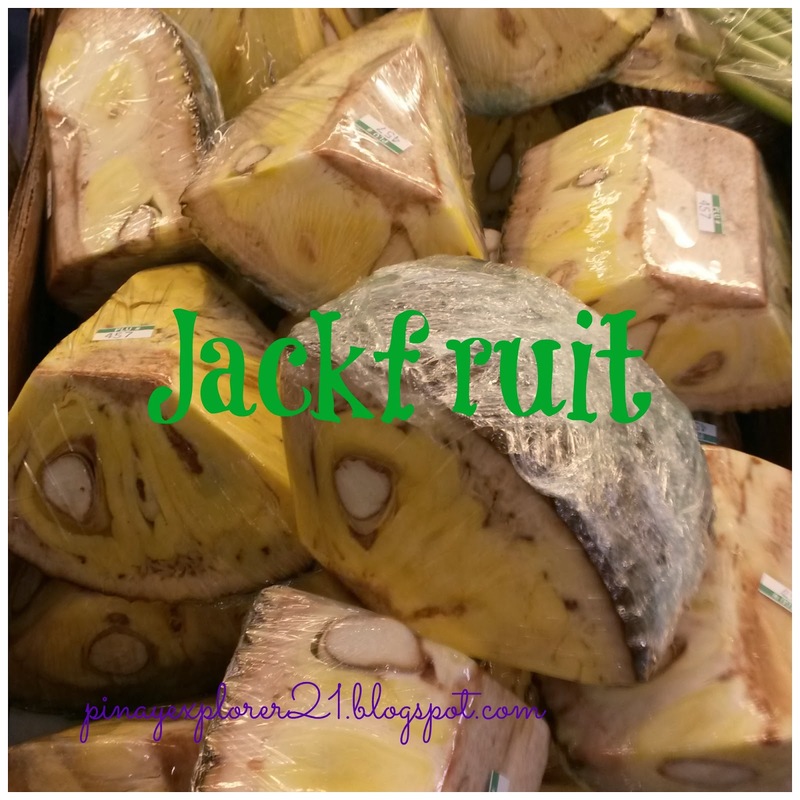 I only bought the Jackfruit because its look so good and this is one of my favorite fruit. It's little pricey for tiny sliced but its all worth, Its like being in Pinas without moving an inch. I ate one or two peices in one day to prolonged that moment hehehe. Have great week ahead and See you in few days for more awesome recipes adventures, whatever may be I'm sure its going to FUN! it must have been a delight to you to taste some local stuff minus the freight cost. i hope they're affordable at jungle jim's escapade! Glad to hear that you found an international store that caters products from your home country. But I bet it is a bit expensive compare to local prices here in the Philippines. I wonder why it's called Jungle Jim's... :-) It's been a long time since I ate langka, nakaka-miss! I'm not sure why its called jungle jims but inside the store its like a jungle..hehehe you can trees, plants and a snake coaster outside where kids can ride and tour the place.. and lot of very unique and nice pieces inside. You really feel like lost in the jungle with all the foodies..:) Thanks! Good for you Melgie. At least there's always something to look forward to in the future. It's obvious that you had a lot of fun while shopping. I personally love groceries as well. Haha. Yay for you! My in-laws live in the US, and they really get excited whenever they are able to taste the familiar flavors of home, so I can totally imagine your excitement! Whao.. an international store. I'm sure you be able to get many different ingredients which are not available in the local stores from it. :) Looking forward to your next dish you be creating. Oh yeah! :) I found a lot of foodies that I loved. Thanks! couldn't ask for more. It feels like home:) Thanks! Do you still live in Fairfield, OH? We had our training in Cincinntati and we wish to visit Cinti this May! I should check Jungle jim by then! Its like 2 hours away from where I live. That's awesome! and I'm sure you gonna love the place. 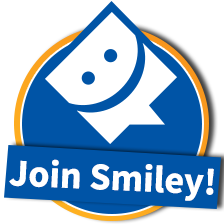 :) Hopefully we can see each other. :) Thanks! Wah ang saya naman nyan! People living near Jungle Jim must be so lucky. 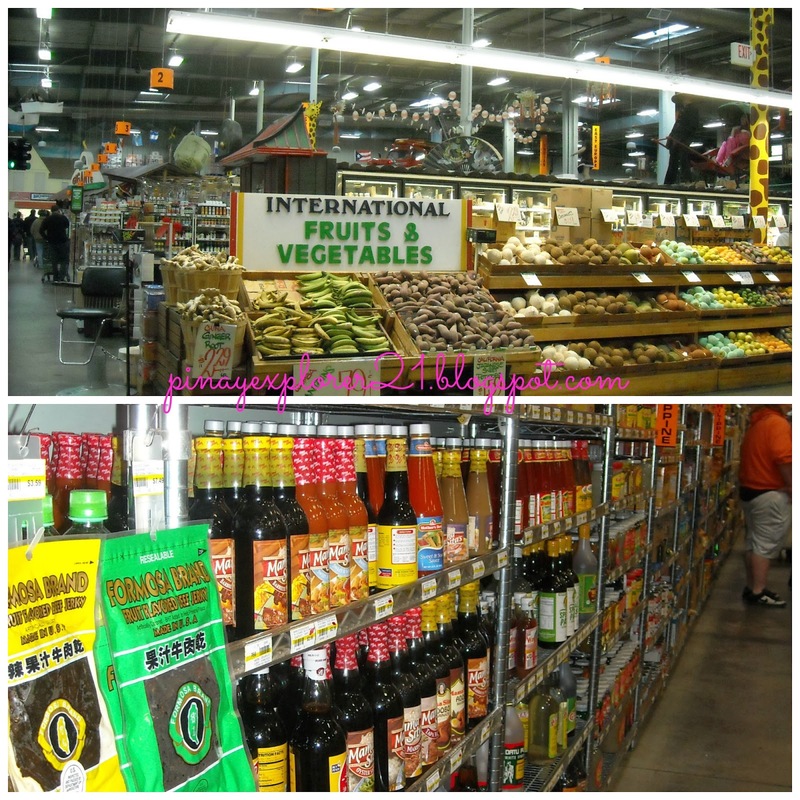 I can only imagine your bliss when you saw the Filipino products! Yeah! I feel so great:) Thanks! We have one close to my place all Filipino din but not as big as Jungle Jim. Def. worth the drive and love to come back soon. :) Thanks! Yup! its different talaga if you have your own favorite.. sarap ng feeling. Thanks! Next time let me know if you want to go back there.i want to come along hehe. Sure Dai, I let you know..:) Thanks!